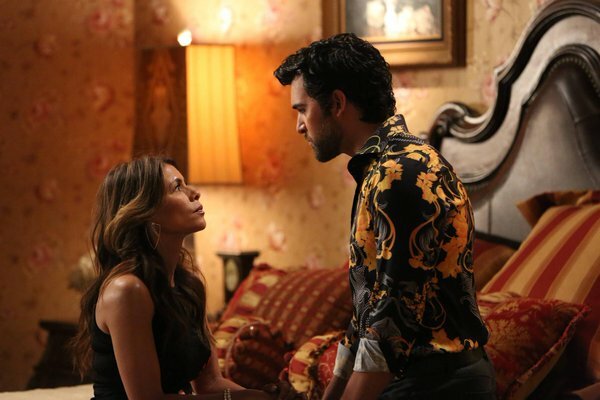 Actress Lisa Vidal talks with Jesus Figueroa, @Thisfunktional of Thisfunktional.com, about being part of FOX's "Rosewood." Vidal talks about the the fun she has had playing Detective Villa's mother and the way the contrasting personalities work together. FOX's "Rosewood" airs Fridays at 8 p.m.
From executive producer Todd Harthan, medical procedural ROSEWOOD enters its second season, as it continues to follow DR. BEAUMONT ROSEWOOD, JR. (Morris Chestnut), Miami’s top private pathologist. Brilliant, cool and with tons of charisma, Rosewood works alongside tough-as-nails DETECTIVE ANNALISE VILLA (Jaina Lee Ortiz), to uncover clues that no one else sees, and help the Miami PD solve its most challenging cases. This heightened awareness allows him to see details on bodies that others cannot. But what drives him most are the victims who are stripped of life’s moments.